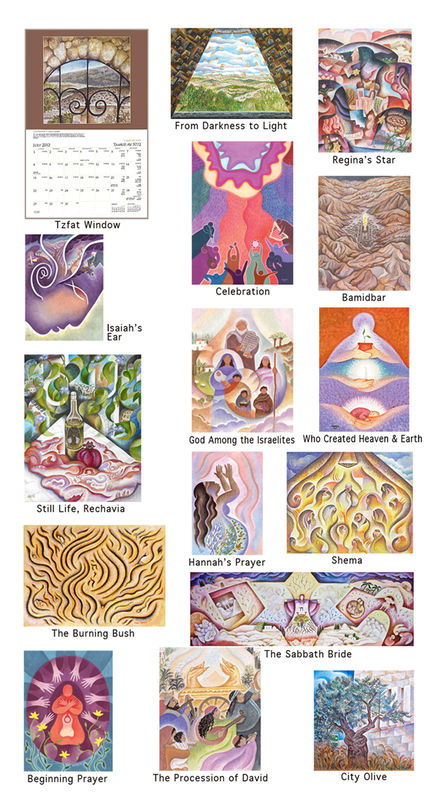 This calendar features 15 paintings inspired by Jewish holidays, Torah, and Israel. Includes candle-lighting times (for Woodstock, NY); Jewish holidays and the weekly Parshah in Hebrew and English; and major secular holidays. 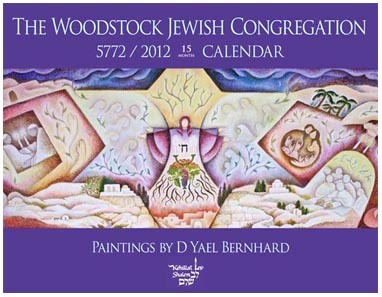 The calendar covers the Jewish year 5772 (October 2011 - September 2012), plus half pages for October-December 2012 (5773).